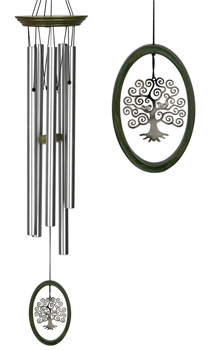 This delightful chime features a Tree of Life charm. A wide-ranging symbol, the Tree of Life can represent strength, beauty, bounty and redemption, making it an excellent gift for almost any occasion. Our Wind Fantasy Chime's exotic song provides the music for your customers' dreams.